Aiden is using Smore newsletters to spread the word online. This is a good book because you see through the eyes of an NFL superstar. There might be books like that but this is a player who played in the 60's. Things were a lot different back then. Now you can see how his life was like. This book is called Gale Sayers: My Life and Times By Gale Sayers and Fred Mitchell. This book was written in 2007 and the genre is sports and well non fiction. That is because it is about football and everything that happened in it really happened. 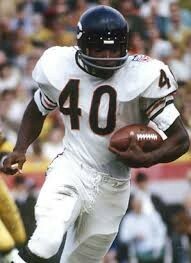 Gale Sayers is skillful because he was really good at football and it takes a lot of skills to play football. He is also tough because some people did not like that he was a African-American. He did not let anything get under his skin. Not a thing about is race. Not anything. The main character is Gale Sayers because he wrote it and it's about him. Some problems he had were that his career was ended about 5 or 6 years shorter than he would have hoped. He tore many ligaments in his right knee in 1968 and had surgery and made the comeback. 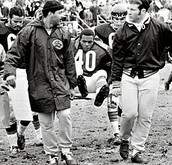 Then in 1970 the same thing happened, this time it was his left knee. He tried to comeback in 1971 and it did not go to well as he was just not the same Gale Sayers. In a preseason game in 1972 he fumbled twice on three carries then retired a few days later.